What is the History of Quinceaneras? The transition from childhood to becoming a woman is given a lot of attention and celebrated as a grand birthday. Quinceaneras have been around for centuries. Usually they will begin with a church ceremony. Then there will be an extravagant party that will follow. Attending a quinceanera will, at times, feel like you are attending a wedding. The decorations will mirror that of a wedding. There is usually a guest list where family and friends are invited to participate in the celebration. Also, there will often be a delightful meal that eventually leads to dancing. Sometimes you may find a traditional mariachi band present to offer music for enjoyment and dancing. The young woman will wear an elegant dress. These dresses were usually a neutral color. The trend has been toward wearing bright, bold dresses. A porcelain doll may be presented to a younger sister. This symbolizes a movement away from youth. The type of shoes will also change, from flat shoes to high heels. This also symbolizes moving away from youth. The first dance will be the girl with her father. There are usually desserts and a cake for the girl. One of the most important highlights listed above is the dance. The dance is supposed to be the first time that the young woman has actually danced. The Joyful Event Store has said this concerning the first dance, “After months of practice for the waltz, the moment finally comes during the reception. It is assumed that the Quinceanera prior to this date has not been able to dance with anyone before. It is at this time that the Quinceanera will dance the waltz with her chambelan and accompanied by her damas and other chambelanes.” There can be specific types of dances that can be performed at these celebration. However, it is not the custom to have a particular dance at these celebrations. Most often, it is left to the individuals preparing for the celebration to pick a dance. The dance forms that you learn for these celebrations can also be used for weddings. That is why San Antonio Quinceanera Choreography for Weddings can serve a dual purpose. A lot of the dance forms learned for one celebration can be used at the other celebration. How Can You Use San Antonio Quinceanera Choreography for Weddings? Traditionally the waltz was danced at a quinceanera. However, this has changed over time. Now you can truly dance whatever dance that you would like. This choreography practice is useful in many ways. The dances learned for a quinceanera can be used for other celebrations. 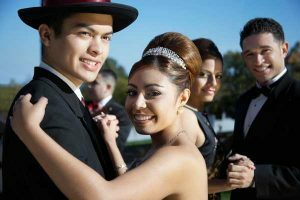 San Antonio Quinceanera Choreography for Weddings is a great way to learn dances early in your life that can be used in many different venues. 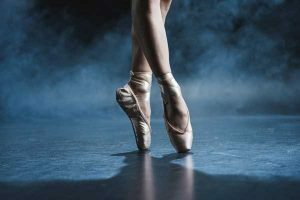 To learn these dances, it is often best to attend a choreographer studio, such as The Jewel of Art Dance Studio. They can teach you the skills, confidence, and techniques to perform these dances with precision for your next quinceanera or wedding. Dancing is a big part of quinceaneras and weddings. Learning the right steps to the dances and being well practiced can make these celebrations more enjoyable. The dances learned for one celebration will work for different celebrations. If you were to learn dances for a wedding, you could then use that same knowledge and apply it at a quinceanera and vice versa. As discussed above, the waltz was traditionally performed at a quinceanera. However, times have changed and now there are a lot of dances that can be learned for the celebration. These dances can be jazz, waltz, contemporary, or even hip hop. Learning the techniques and gaining the confidence to perform these dances is the the same no matter the celebration. These dances can be learned for all age groups. The knowledge and skill gained from these dances can be implemented in many venues. San Antonio Quinceanera Choreography for Weddings is a great way to save money. Taking the time and spending the money early for a 15th birthday celebration, can allow you to skip practice for a wedding. The same dances may not be used at both celebrations. Although, it is likely that there will be similar, if not the same, dances performed at both celebrations. Quinceaneras and weddings are very important celebrations in the Latin culture. The prior celebration is a representation of a young woman moving into womanhood. While the latter is a celebration of starting a new life independent from your parents. Both celebrations are an important part of life. Learning the correct dances and steps can make these celebrations that much better. Time and effort should be placed on making the most of these events. So, getting the proper dance lessons should be one of the first things done in preparation for these events. These are very exciting times for young Latin girls. A San Antonio quinceanera is something to look forward to. There is a lot of time and preparation that goes into these celebrations. These celebrations have marked history for hundreds of years and are very special to the culture. Taking the time and effort during a quinceanera to learn the dances can pay off later down the road for the same dances performed at a wedding. Either way lessons should be taken to learn the choreography. Lessons can be offered to people of all ages and the result of these lessons can be enjoyed for years to come.